Former New York City Mayor Michael Bloomberg has re-registered as a Democrat just 27 days before the 2018 midterm elections. The billionaire philanthropist posted news of his latest party affiliation on social media, saying that the Democratic party needs to step up and act as a "bulwark" against "those who threaten our Constitution." "Today, I have re-registered as a Democrat -- I had been a member for most of my life -- because we need Democrats to provide the checks and balance our nation so badly needs," Bloomberg wrote in a caption to a photo of him filling out his New York state voter registration form. 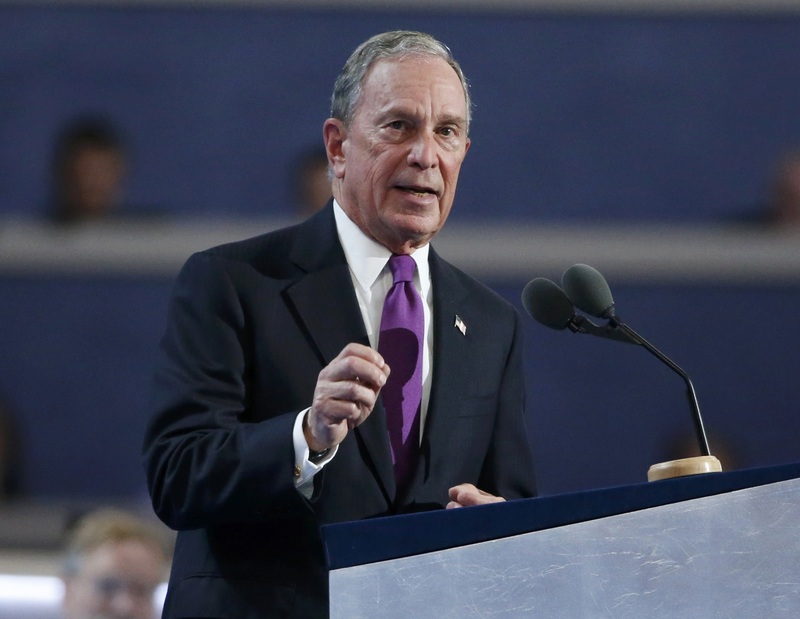 Bloomberg was previously a member of the Democratic party but switched in 2001 to run for New York mayor as a Republican. He later dropped the GOP affiliation to run for re-election as an independent and has since thrown his support behind Democratic political candidates, including Hillary Clinton in 2016 where spoke at the Democratic convention. Besides endorsements, the former mayor has put his money toward more Democratic-leaning initiatives, pledging tens of millions of dollars through his philanthropy arm to tackle issues like climate change, public health and education. And with $80 million in hand, he's also intent on helping Democratic candidates flip the Republican-held majority in the House this November. But his latest party swap only fuels more speculation of a potential run for president in 2020. He told the New York Times in September that it was "impossible to conceive that I could run as a Republican," citing vital ideological differences from the GOP. He added that if he indeed decided to run, he'd "have to run as a Democrat." The deadline to register to vote in New York state by mail, person or online is Friday, October 12.